Avocados are the best, but there’s only so much guacamole and avocado toast one person can eat in a day. So here’s another idea: avocado soup. Avocados are the best, but there’s only so much guacamole and avocado toast one person can eat in a day. So here’s another idea: avocado soup. 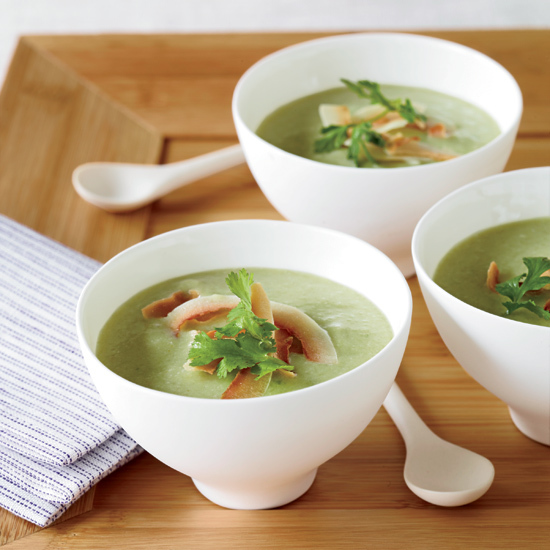 Here, seven simple and delicious avocado soups. Use this smart tip for breaking down avocados to make the soups even easier. Here’s a silky soup that doesn’t rely on cream for its creamy texture; pureed avocados do the job nicely. The combination of cucumber and red wine vinegar in this recipe is reminiscent of Greek salads. This tangy, luscious soup is an excellent make-ahead dish. Simply puree everything except the garnish, then chill. Avocado gives this zippy soup a terrifically luxe texture. This soup is a great way to use leftover guacamole. Refreshing and vibrant, this bright soup is super easy to make. This soup is made entirely in a blender or food processor.